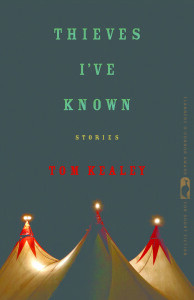 Tom Kealey is the author of Thieves I’ve Known, winner of the 2012 Flannery O’Connor Award. He is also the author of The Creative Writing MFA Handbook, and his work has appeared in Best American Nonrequired Reading, Glimmer Train, The Rumpus, and many other places. Tom has taught creative writing at Stanford University since 2003. More at tom-kealey.com. 1. First of all, congratulations for winning the Flannery O’Connor Award For Short Fiction. I confess to being unfamiliar with the selection process so could you give us an overview of how that works? Were you prepared to win or did you have the “it was an honor to be nominated” speech ready? Well first of all, thanks very much. I’m very honored and humbled that Thieves I’ve Known was chosen for the Flannery O’Connor Award. Basically, it is an award for as-of-yet unpublished story collections, so the publication of the book by the University of Georgia Press is part of the award. They receive somewhere in the hundreds of manuscripts, and writer Nancy Zafris — who has been the final judge for the award for many years now — chooses two winners for The Flannery O’Connor. “The Viewing Room” by Jacquelin Gorman was another winner my year, and Jacquelin’s book is really outstanding. Thieves I’ve Known had been runner-up in past for the Flannery O’Connor, as well as runner-up for a number of other short story awards, such as The Drue Heinz Award. “Always the bridesmaid, never the bride” as the saying goes, so it was very nice to finally break through. I had rewritten a number of the stories before resubmitting it, as well as changing the title of the book from Groundskeeping to Thieves I’ve Known. So that seemed to help. “Tom Kealey introduces us to characters doggedly toiling on the outskirts in artistically gratifying stories that are both funny and devastating.” I’m a big fan of the funny and devastating, personally, but I find that it’s difficult to do it well without putting some humorless people off. What’s the secret there? How can you carve humor out of tragedy without it seeming offensive? It’s a great question, and it’s a difficult line to walk: Humor and Struggle. The characters in Thieves I’ve Known are mostly teenagers living on the edges of society. They are very much struggling. But I think when you look at children, no matter their circumstances, there is still an element of play. In fact, this is true to a lesser, yet still important extent, in adults too. We don’t necessarily laugh at our larger tragedies, but we find humor in our day to day problems. As a writer, humor is essential — I think anyways – to helping the reader connect to the character. It’s not that I’m leaning specifically toward comedy, it’s more a lean towards a drama that has humor to it. For example, in “From Bremerton” there is a character named Otis, who has been hoodwinked into driving two teenagers to see their mom (who is in prison.) Otis is a middle-aged barber, and not a humorous man. He’s serious and often scowling. This drive is four hours out of his way, and the prison situation brings up a lot of old, aggravated issues for him. However, the two teenagers, they’re sort of strange, and they love, love, love making little origami birds, sailboats, teacups, horses etc., and they turn all of these little pieces of paper into shapes during the drive with Otis, and in particular they make a frog that can ‘jump’ when you flick its tailbone. So, the origami frog starts ‘jumping’ all over the car. Otis is not necessarily laughing, but we are. Mostly because the story takes this very serious person and pushes him out of his comfort zone. Which is something of course that we all need. If we don’t get pushed out of that zone, then we don’t change, and if we don’t change then we stagnate. Otis has been stagnating for a long time now, and these two kids create some movement in him. He eventually takes to it, though perhaps not in the expected way. In any case, we don’t necessarily laugh when we are being pushed out of our comfort zones, but we tend to laugh about it later, and appreciate it. And of course — and this is the root of so much of comedy — we like seeing this ‘helpful discomfort’ in fictional characters. 3. Drawing on something that really bothered me when I took computer science classes years ago, it seems that there are some professors who teach a subject but aren’t currently practicing that subject professionally or maybe haven’t done so in years. Would you keep teaching writing if you stopped publishing your work? Are there writing professors out there who’ve never published? If there are, would you take their classes? Well, I think ‘practice’ is the key word in this great question. If a teacher is not currently practicing their craft in some way, then the teaching tends to get stale and the teacher tends to get out of touch with students. And definitely getting published, as a writer, is one measure of the practice of writing, but it’s not the only measurement. Writing daily, reading current works and classics, discussing creativity with other artists, keeping up to date on the latest craft books about fiction, poetry, and nonfiction… these things and many more are all part of the practice of writing. And of course the practice of teaching. I love teaching and writing. So I hope to be doing both for many years to come. 4. Seeing as you’re about to do 2 readings here in town, let’s talk about that. What’s so amazing about a reading, in my opinion, is that you can gain a lot of insight by hearing passages read by the author. It’s sometimes very different than how you interpret them otherwise. Do you tend to get a lot of questions from the audience, asking you for explanations, arguing with you about why a character probably wouldn’t actually do something you had him do, etc? Do you ever ask the audience questions about how they’ve interpreted events in your work? I’m really loving these questions. As far as readings go, I’ve never had an argument, but yes, I’ve had audience members ask for explanations about a character’s decisions or motivations. I find this to be interesting and quite often very stimulating. It reminds me that a story is not necessarily a fixed object, but instead is closer to an organic organism that can change over time. We see stories differently. For example, The Great Gatsby was published in 1925, and people saw it in a particular way at that time. But it really gained in popularity much, much later, because it serves as such an insightful metaphor for the era that we know as The Roaring 20s. And strangely, it seems to foreshadow the Great Crash of 1929 as well. But people didn’t know that in 1925. So stories change, and meanings change. Back on subject… I’m definitely always very interested in how readers and listeners are interpreting a story. I am not under any impression that I understand even my own stories completely, so interacting with readers is always a delight. I often learn something new about my characters that I didn’t know before. I have to be honest and say that asking the “audience questions about how they’ve interpreted events” actually scares the heck out of me. It’s a great idea, and would push me out of my comfort zone. Which, as we’ve already discussed, is a good thing. Thanks for the suggestion! 5. I see that you teach creative nonfiction in addition to creative writing and screenwriting. How are they all different? What’s your favorite niche? Well, there are basic storytelling techniques — what’s at stake? where is the tension? how do we get this character in motion? — that are relevant, no matter the genre. I’m working on a script right now based on the Merrill and Nate characters from Thieves I’ve Known. I do love scriptwriting, mostly because dialogue comes easier to me than narration or description, and of course a screenplay is mostly dialogue. The nice thing about scriptwriting too is that it is more collaborative. You get to receive the help of the director, or other screenwriters, in shaping your work. For some writers, this might be terrifying, but I enjoy the collaborative process. I haven’t written much creative nonfiction in the last couple of years. I’ve been focused on fiction. Strangely though, I feel like many of my characters are simply me dressed up in different age groups, genders, circumstances, and the like. I’m always exploring my version of the world, even in fiction, even in fiction that is magical or fantastical. A writer is often trying to make sense of her or his own world, and there are a variety of ways to do that. If I could only have one niche, it would be fiction. You don’t need any cameras or crew, and you don’t even necessarily need to travel or have significant experiences (though they help). All you need is imagination, determination, a little craft help, and time. 6. Some truly amazing writers have read at Stanford over the past couple of years, most notably (to me) Martin Amis. (Sidenote: if you know him tell him I said hello and that I read London Fields in 2 days.) Are there any particular writers that you’ve met, and heard read, that really stand out as being as amazing as you were expecting? Well, I can’t say that I have Martin Amis on speed-dial, but if I run into him again I will pass along your compliment. Yes, we are very blessed at Stanford to have so many wonderful visiting writers. It’s hard to choose one, but I think George Saunders (Tenth of December, CivilWarLand in Bad Decline) was one of my favorites. He visited us for a couple of days, and I actually got to drive him around town and to and from the readings. He’s an incredible writer, but also an incredible person. He wanted to talk more about my writing during our discussions, and offered some very helpful insights. And he brought the house down with his very funny and touching reading. Edward P. Jones was another truly lovely person and writer. And of course I’m blessed even when we don’t have visitors. I can walk down the hallway and talk about short stories with Tobias Wolff, or walk down the other hallway and talk about teaching with Eavan Boland. Adam Johnson just won the Pulitzer Prize, and one of our new colleagues Anthony Marra was just long-listed for the National Book Award. Stanford is a special place, and yet, it’s a very welcoming place too. We all make our contributions as teachers and students, and the awards and publications are the nice extra things. What matters is the love for writing and teaching, and the desire to improve our skill level and creativity at both. 7. Who are your favorite contemporary writers? I always flip over the latest Louise Erdich book. She’s been one of my favorite writers since Love Medicine. One of my students just suggested yesterday that I read White Oleander by Janet Finch. I picked up a copy, and I can only speak to the first few pages, but it is really outstanding. I volunteered for years at 826 Valencia, so Dave Eggers has a special place in my heart, but I love his work too. And he has a new book (The Circle) out soon! I’m going to choose a non-contemporary writer and say that James Baldwin has always been a touchstone for me as a writer. And then I guess I’ll have to give you one ‘guilty-pleasure’ author, and that is George RR Martin and his Game of Thrones saga. You know, honestly, I don’t even feel all that guilty about it. I think he’s a terrific writer. 8. What would you say if a school board banned one of your works? As you may have seen, there’s been a lot of controversy over the Invisible Man book ban in Randolph County recently. How can we make people understand that experiencing another voice is one of the key ways to become a better human being? Why do you think that people are so afraid of ideas? What would I say if a school board banned one of my books? Hmm. I have two answers. The first a little humorous, the second more serious. The first is… considering that banned books tend to get a lot of attention and sell really well after they get banned, I’d actually be pretty excited about it. If someone would like to ban Thieves I’ve Known, hope they’ll let me know. On a more serious note, it seems to me that banning books is a step in the direction of burning books. And burning books is what a totalitarian society does. So, banning books seems to me to be a serious step in the wrong direction. I followed the Randolph County ban a little bit, and strangely, I found a lot of hope, not in the ban, but in the response. I went to UNCG with Evan Smith Rakoff, and his response to the banning of The Invisible Man — namely, offering free books to any student who wanted to read it, was pure genius in my opinion. And it was incredibly generous and wise as well. To me, the reaction (and of course the eventual reversal of the ban) shows that our society is quite healthy in many ways. Instead of people getting angry and tossing around insults and threats, there seemed to be a thoughtful discussion about the book and about how we approach teaching and schooling. Why are people afraid of ideas? That’s human nature of course. To have each: the fear of the new idea, the curiosity about the idea, and of course the willingness to try the idea on for size. These forces ‘fear-curiosity-willingess’ are part of each of us as individuals, and of course they are part of the makeup of our society as well. And they often get out of balance. I don’t know that in a democratic society that we can make anyone try a new idea. Or, as you so wisely put it, make anyone experience a different voice. But we can – and need to — keep the lanes to these voices open, and people may come to it of themselves. 9. You’ve been in school, lived, and/or taught in the South, the Northeast, and the West Coast. Are there any major differences in how writers are viewed and treated in those three regions? Honestly, I’ve never really thought about this before. I can tell you that when I lived in San Francisco, for every three people that you met, one was a writer (and another was an artist, and the other one owned her/his own tech company). It was rather easy to find conversations about reading and writing. This was both exhilarating, and sometimes, a little exasperating. It’s nice to have other types of conversations too! 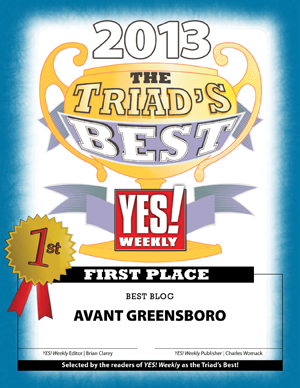 There’s a really lovely community of writers in Greensboro, NC, my hometown. That’s always been the case. When I was in college I worked up at Southern Lights Restaurant, and Fred Chappell would stop in and we’d talk about books and writing and teaching. My friend Ann Fitzmaurice is a terrific writer, and she and I talk often about our craft and stories. I’m here talking with you too! So many opportunities if we look for them. One insight I can give you is this: I found it difficult to write about North Carolina until I moved to Massachusetts. And I found it difficult to write about Massachusetts until I moved to California. I still find it difficult to write about California. Perhaps it’s time to move again. 10. How can we better encourage kids to write and read more than they do? We took our children to a poetry reading last year and while they did enjoy it and were the only children present, it didn’t seem like a very common thing to do when the reading wasn’t something to do with a kid’s book. We also took them to meet Weird Al Yankovic and got to give them the “independent bookstores are amazing” lecture, but…it’s not always enough when there are video games to play, Disney shows to watch, and Youtube videos where cats sneeze ten times in a row. How can parents do a better job at raising voracious readers who understand the magic of books? I really loved that. And it’s important to find one of the lessons in that. Human beings, no matter their age, are interested in stories that give insight into their own lives. That’s not to say that we’re not interested in other voices, as we discussed earlier. But wow, if a story touches directly on our own experience, then we are immediately pulled into that world. And of course, that has a positive snowball effect: We experience something (travel, family, music), and then we’re excited about reading about similar experiences. Then something in that reading is different, and it makes us more open and seeking out new experiences. So, I’d say, make sure that reading and activities around reading are relatable to a kid (or an adult). And taking time to point out this connection can pay dividends. If a kid loves cats who sneeze ten times in a row, then there is probably a book about that somewhere. And if that book creates joy in the reader, it will lead to other books. Julie, I want to thank you so much for this great conversation. I loved your questions, and I hope I was able to answer at least some of them in some way. Happy reading to you!! Log in | 42 queries. 0.579 seconds.